In preparation for his recent Tasmanian home tour, Josh describes his life as a jazz musician in New York, as well as how he made the transition from Tasmania to the United States. Chosen by the University of Tasmania as a distinguished alumni, Josh is interviewed around his journey from being a student studying jazz in Australia to studying it in one of the most vibrant scenes in the world - New York City. 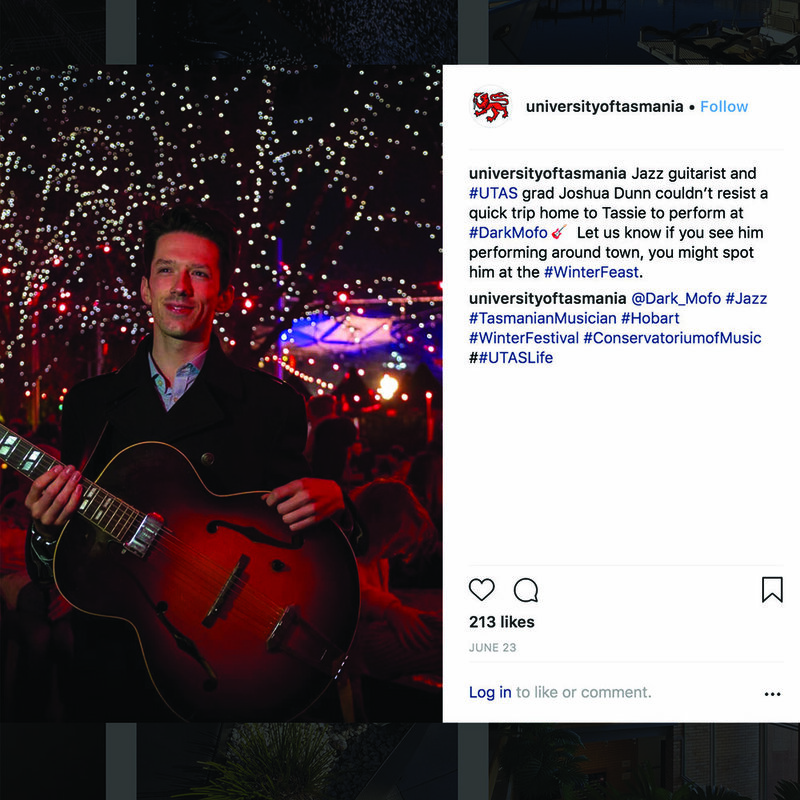 During his recent home tour, Josh was featured by the University of Tasmania on their social media channels, alerting their followers that he was playing DarkMofo, the Hobart based music festival.